New national regulations have widened the licensing requirements for landlords with Houses of Multiple Occupation (HMOs) in the district. Previously, mandatory licensing of a HMO was required if there were five or more persons not forming a single household in a three storey property. The amendment to the Housing Act 2004 no longer takes into account the number of storeys within the property. The change in the law has been introduced to ensure HMOs are protected and properly managed. Blaby District Council has prosecuted two landlords in 2018 for properties posing a risk to tenants. Licenses for HMOs are issues by the Council. A new five-year licence will cost landlords a total of £794.93, with renewals £679.76. Councillor Iain Hewson, Portfolio Holder for Leisure and Regulatory Services, said: “This amendment to the Housing Act is an important change, giving powers for our Environmental Health team to scrutinise and ensure houses of multiple occupancy are in an acceptable condition. Recent prosecutions have shown that, unfortunately, some landlords have little regard for the conditions their tenants live in. 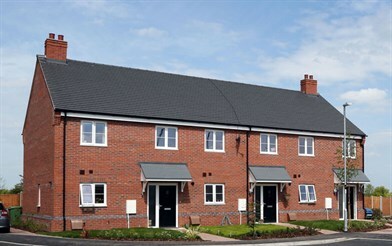 Information about the new regulations for licensing houses of multiple occupancy is available on the Council’s website by visiting www.blaby.gov.uk/hmo. Landlords or tenants wanting to find out more can also email environmental.health@blaby.gov.uk or call 0116 272 7555.